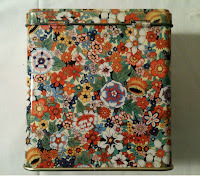 I've collected several vintage tins from garage sales, and I love their colors and patterns. I had been saving them because I wanted to do something with them, maybe paint them, but I hadn't felt inspired by anything I'd seen. This past week I came across this DIY idea, and I had some vintage fabric I recently found at an antique shop, so I decided to finally update the tins. (I forgot to get pictures, but I also covered the Altoid tin and filled it with wax from an old candle from Anthropologie. The candle wax was really fragrant and pretty soft, so I spread it into the tin and am using it as an air freshener in our car, and so far it's working great! (I just used the wax, no wick; I promise I am not actually lighting a candle in the car.) I think the key is making small holes in the lid before covering it with fabric, so the scent can get through, but the wax won't get all over the place). I put the tacky glue on the tin and spread it with a paintbrush. Then I pulled the fabric onto the tin, allowing about an inch of fabric over the top and bottom. I smoothed out any wrinkles, and I repeated this on all sides. Where the fabric edges overlapped, I smoothed more glue over the top of the fabric to prevent raveling. Then I folded the fabric over the top and glued it down. And I did the same to the bottom. Then I covered the rough edges with another square of cloth. I glued fabric on the lid as well, but I decided to leave the small silver lip showing, so it still looked like a tin. I glued one side at a time and cut the fabric to size as I went. For the corners, I cut the fabric at a diagonal and then cut and glued one side at a time. 1. The blue-green suzani-looking fabric is a little thin, so some of the tin's original pattern shows through, which I should have checked before-hand. Spray painting the tins would have been a good way to avoid that, but I didn't feel like waiting for paint to dry. 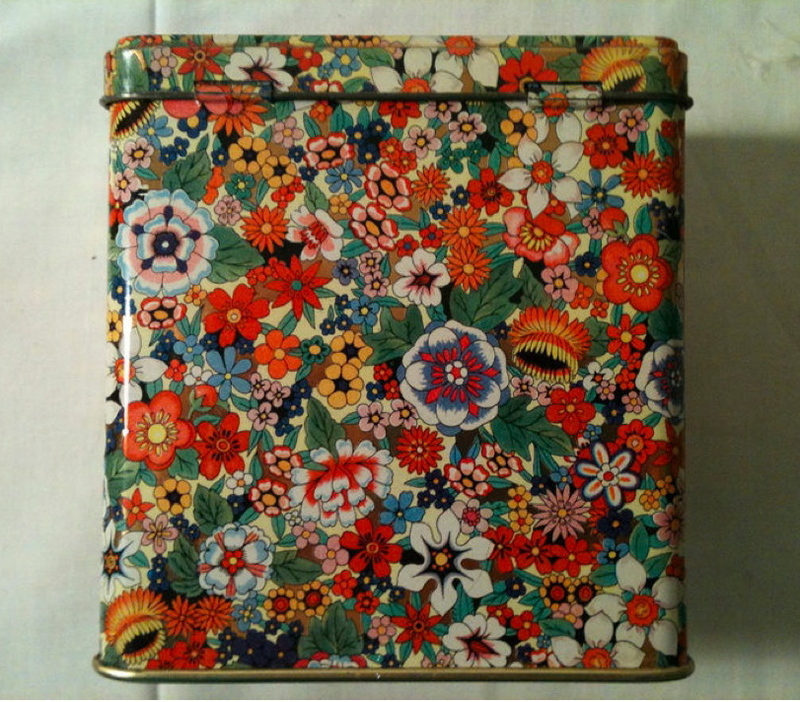 The heavier fabrics and those with more pattern covered the tins well, though. 2. The ticking stripe is a heavy fabric, so putting the lid back on the tin was a bit difficult. I wish I had tested that beforehand. I'm not too sure yet what I will do with them, but they'll make useful and pretty storage for something, I'm sure. They would work nicely for storing tea or wooden spoons in the kitchen, cotton balls or Q-tips in the bathroom, or perhaps buttons or ribbon in my art closet. Shelley! Janelle from grad school (well, back in the day). 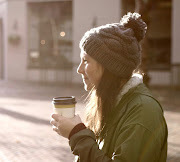 Didn't know you had a blog! Delighted to have found it. I'm homeschooling my son this year. Will definitely use this idea. Ohio, huh? What a trip. There's a great song by The Low Anthem called "Ohio." That's all I know about that.